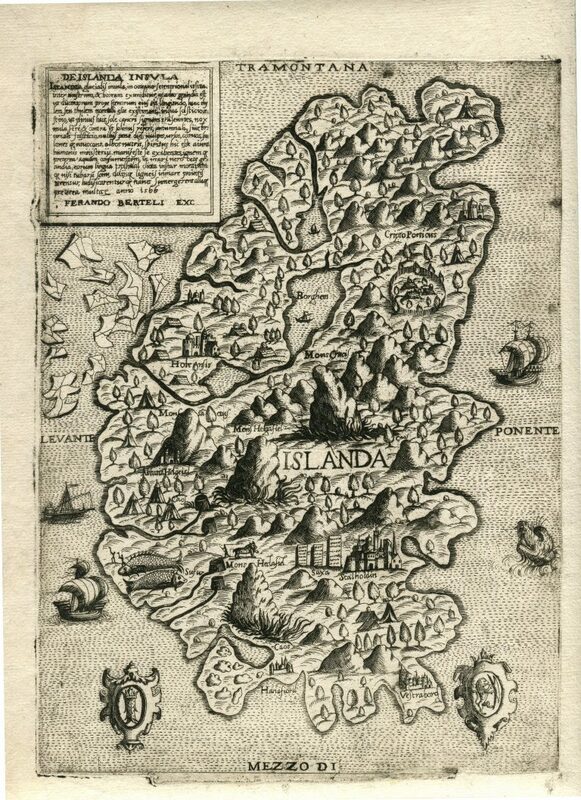 This map uses Carta Marina of Olaus Magnus as its model for Iceland, even if it is not obvious at a glance. If you flip the country over and turn it 90° right, you can see that it resembles Carta Marina´s Iceland. Camoccio published practically the same map under the same title in 1570 and 1574.